CLEVELAND, Ohio — The Ohio State Buckeyes will host the Indiana Hoosiers Saturday afternoon. Indiana is 4-1 to start the season but will be a +26 underdogs on the road. Ohio State is currently 5-0 on the season and coming off last weekend’s epic comeback victory over Penn State. The Buckeyes rallied from 26-14 to defeat the Nittany Lions 27-26 in the final moments of the ballgame. Coming off such an emotional win could leave OSU vulnerable in a trap game to the Hoosiers though. Indiana is certainly not to be taken lightly. 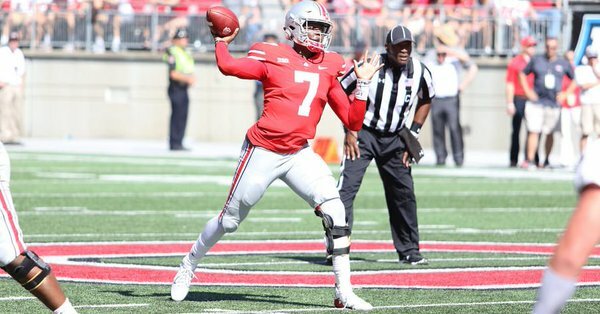 1) Dwayne Haskins: Last Saturday there were times where Haskins looked lost. But when it mattered, Haskins put together strong drives that led to Ohio State coming back to beat PSU. For Haskins, that showed the kind leader he has to be for the Buckeyes. The Nittany Lions exposed Haskins a bit, getting him off balance with constant pressure. Ultimatley, Haskins finished the outing 22-of-39 passing for 270 yards, three touchdowns and one interception. Expect Haskins to settle back in and have a big game against the Hoosiers. 2) Offensive line: Arguably the biggest question for the Buckeyes has been their offensive line. Last week against Penn State the o-line gave up one sack, five tackles for a loss, and four quarterback hurries. On paper, it doesn’t sound bad. But when you go back and watch the game, these stats took place during critical moments of the game. Overall the line hasn’t been bad this season though. Keeping Haskins clean and protected is the biggest key to Ohio State’s success. 3) Running game: When it’s going right, Ohio State might have the best overall running game in college football. Between J.K. Dobbins and Mike Weber, the Buckeyes can usually run right through defenses. Ohio State will be facing a defense that has given 100+ yards rushing in four out of the five games that Indiana has played in. The ground game could be the main feature on Saturday for the Buckeyes. While the Buckeyes prepare for their upcoming game against the Hoosier, you don’t have to travel nearly as far for outstanding food and game day atmosphere. In fact, watching a game at “Gameday Tavern” is better than being on the sidelines. 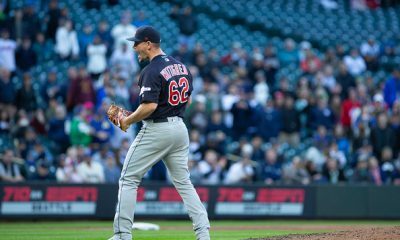 They are the official watch party location for every big game, including Indians, Browns, Cavaliers and the absolute best place for Ohio State action. The food, the great servers, the ice-cold drinks, and beer specials make it can’t miss stop for game day! 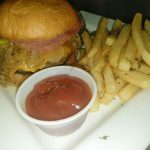 In fact, during every Buckeye game, you can get their world-famous Buckeye Burger for only $6.50. They are so good, you may just have to order two! Game Day Tavern Is located at 15119 Snow Road, Brook Park, OH 44142.